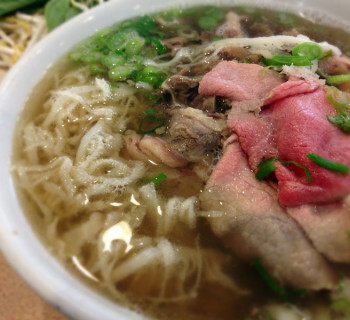 There are probably 2 reasons why a non-Viet speaking person wants to know how to pronounce phở. The obvious reason is to be able to order your favorite dish at the restaurant. The other is to be able to talk about and share it with others about your own satisfying gastronomic experience. Being able to do both well becomes the third reason. Why? Because we're social creatures, and enjoying and sharing food experience is the best satisfaction of all social experiences. But it can be tricky. 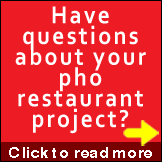 So reading the article on Pho Pronunciation still leaves you confused? And "Tips on Ordering Pho" still gives you pause? Well a few readers felt the same way. In fact some indicated to me that they're still confused, if not more confused, because they still hear different pronunciations of phở. Non-Viet speakers are really looking for something consistent sounding and repeatable, and what they hear from the different sources (including my own on this site) just don't sound the same and therefore not duplicable. 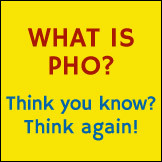 Here are a few things to keep in mind when listening to pho pronunciation while trying to learn to say it. People just don't speak the same way. Consider how tough it would be for a non-English speaker to learn American English from a New Yorker, a Louisianan and maybe a Californian. The accents alone would be confusing and to the untrained ears, the same word will sound differently depending on whom you talk to. This is why I recorded the audio files in both Northern and Southern Vietnamese, the 2 most prominent Viet accents, when applicable,. It's one thing to show how a single word sounds, it's another to demonstrate how it should sound in conversational sentences. Demonstrating how a word sounds in a sentence is the only way for the listener to understand and recognize the word in practical scenarios. A single sound can't help you speak another language. This is why I recorded the audio files in single word pronunciation plus in complete sentences, often with slower then faster rates of speech. 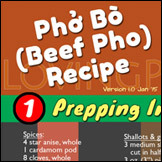 A word such as phở can be used in both Vietnamese and English sentences. There's no translation for it from Viet to English. 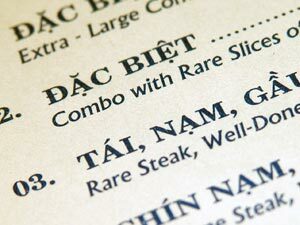 A native Vietnamese speaker (especially one with good command of English) will tend to say phở differently when speaking in Viet and in English sentences. This means he/she says phở the correct way when conversing with other Vietnamese, but inadvertently adjusts the pronunciation in such a way to sound 'normal' in English, which results in the added confusion. 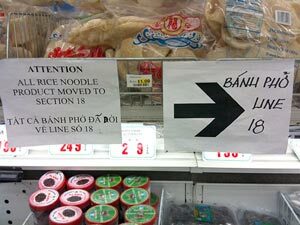 This is why I recorded both Vietnamese and English phrases with phở pronunciation spoken in Viet accent throughout. It's the only way to get consistency. So the best thing is to provide consistent, repeatable, varying and practical usage and scenarios, which I attempt to do with the series of audio recordings. 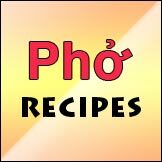 My hope is that, with the various ways and context that phở is spoken, the listener will understand and find a way to say phở in his/her own way, correct but different. It's the same way a Northern Viet and Southern Viet understand each other: we know the word and how it should sound, we know the context in which the word is used, and we know the other person's accent, so our ears can make the proper adjustments. That's exactly how we understand each other. I guess that's why communication is both an art and a science. You're really mangling the Viet word very very badly, in which case a little more practice is in order. Just have a fun moment and keep trying while pointing at the item on the menu. Absolutely resist the urge to order by the number. Even when the order taker says, "oh you mean number 3? ", just say "that's right, phở tái chín sách, please." Practice makes perfect. 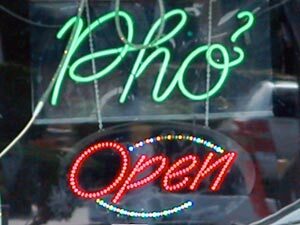 You're pronouncing your pho selection to perfection that any Viet-speaking person would be proud of, yet the order taker still looks baffled. It may be that he/she didn't expect such fluent Viet language coming out of your mouth. So just give him/her time to recover, and try again. You know you did okay with the pronunciation, but still feel like a fool because the order taker just wouldn't understand you. He/she may be just messing with you and trying to put you back in your place (where a non-Viet speaking person belongs, i.e. ordering by numbers.) But don't fret or give up. As a last resort, politely point to the item, smile and say it again. You'll get what you want. Plus a little respect too.